Broken mastodon bones discovered under a highway construction site in California may prove that humans arrived in the Americas more than 100,000 years earlier than previously thought. Museum human origins expert Prof Chris Stringer says, 'If the results stand up to further scrutiny then this changes everything we thought we knew about the earliest human occupation of the Americas. The research, from a team led by the San Diego Natural History Museum, was published this week in the journal Nature. Until now, palaeontologists believed that the American continent was first reached by modern humans - Homo sapiens - about 15,000 years ago. But the authors of this study believe that the mastodon bones - dated to about 130,000 years ago - show evidence of being broken by tool-wielding humans. Many of the bones, tusks, and molars found at the site were sharply broken and found near large stones. The researchers believe these stones may have been used as hammers and anvils to smash open the bones. They tested the theory by striking modern elephant bones with large rocks, which produced similar fracture patterns to those seen on the mastodon bones. Related to the modern elephant, mastodons roamed America for millions of years until they became extinct about 11,000 years ago. But the bones that feature in this research were uranium-dated to around 130,000 years old. If the research is shown to be accurate, it could mean that humans arrived in America around 115,000 years earlier than previously thought. As the claim is so extraordinary, each aspect of the evidence requires meticulous scrutiny. 'Have these mastodon remains really been butchered by humans when fresh? Are there really associated stone tools? And is the assemblage properly dated to about 130,000 years old? ', Prof Stringer asks. The research will therefore require close evaluation by other scientists. But if it holds up, what does this mean for our understanding of the earliest occupation of the Americas? The usual assumption is that passage to the Americas would have come from eastern Asia via the Bering Straits. Entry would most likely have been accomplished during the lower sea levels of the cold stage that ended about 130,000 years ago, says Prof Stringer. The most likely colonisers would have been one of two archaic human species - the Denisovans or the Neanderthals. Fossil and DNA evidence show that these species were in Siberia about 100,000 years ago, so scientists think that they could have travelled across a land bridge to America. Currently, there is no evidence to suggest that archaic humans were sufficiently adapted to reach far enough north to access Arctic routes to the Americas. And, if humans had really reached as far south as California 130,000 years ago, where else did they spread to, and what happened to them afterwards? 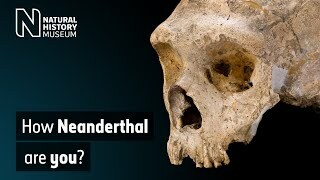 Prof Stringer says, 'Many of us will want to see supporting evidence of this ancient occupation from other sites before we abandon the conventional model of a first arrival by modern humans within the last 15,000 years.